Matthew Maibaum specializes in psychology, political science and research. With nearly four decades of professional experience, Mr. Maibaum shines as a behavioral scientist, researcher and writer who has been lauded for his efforts over the course of a successful career. He is a three-time Phi Alpha Theta award winner, and a recipient of the 1974 Grant-in-Aid Award as granted by The Society for the Psychological Study of Social Issues, as well as the 1975 Best Paper Award, as granted by the California Psychological Association. He attributes his success to his hard work and the support he receives from his parents. 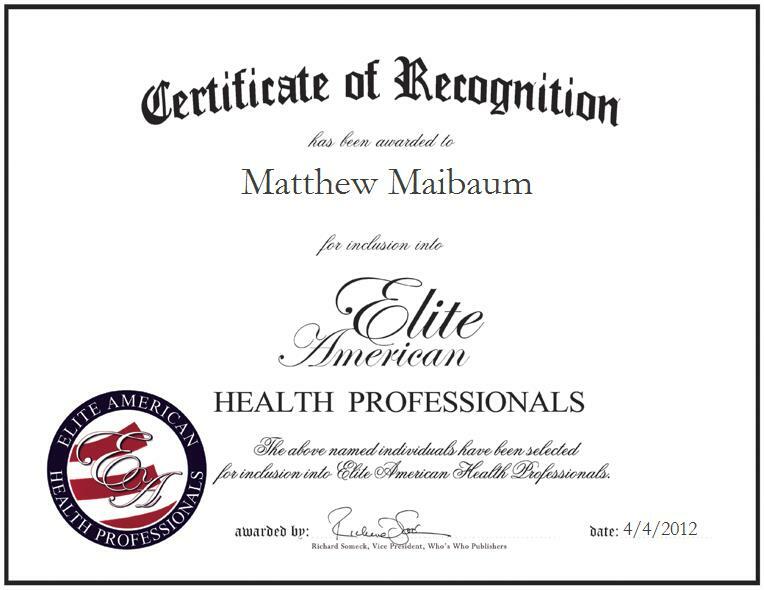 Mr. Maibaum is a Qualified Medical Evaluator, a Licensed Psychologist, and he holds Certifications from the American Board of Medical Psychotherapists and Psychodiagnosticians and the American Board of Forensic Psychology, Inc.